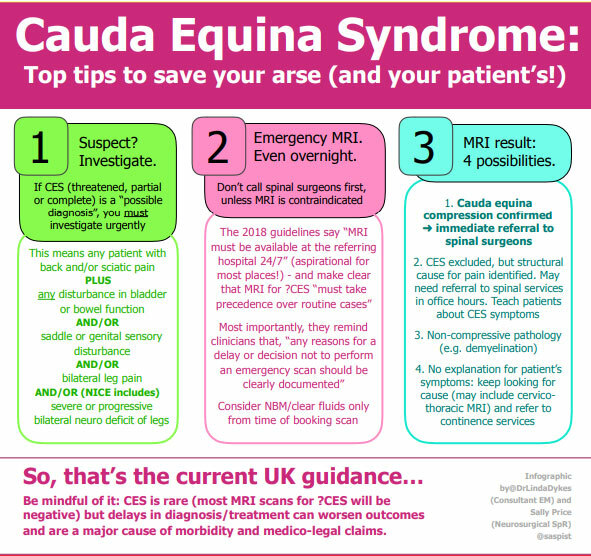 Recently Dr Linda Sykes @DrLindaDykes tweeted an infographic for healthcare professionals illustrating the updated 2018 UK guidelines for cauda equina syndrome. 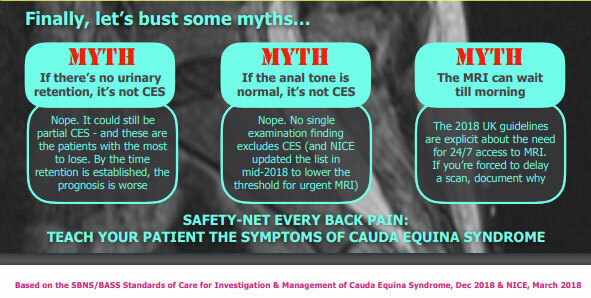 It provides a straightforward, honest pathway for CES management in the acute setting. We were blown away by the reaction it had on Twitter – over 21,000 engagements from healthcare professionals !! 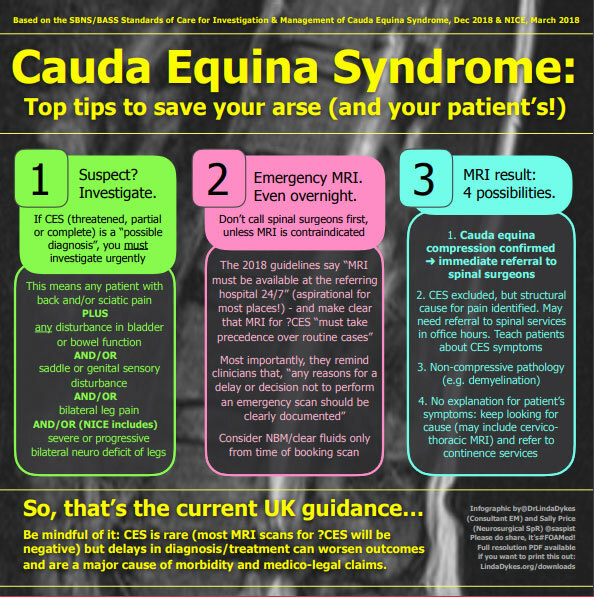 Helping to raise awareness of the Red Flags of CES and the lower threshold for MRI scanning. As patients we are all too aware of MRI scans being denied or delayed, often for funding and staffing reasons, and of the terrible outcomes for patients if CES is not managed correctly. Too many people are left to deal with incontinence, mobility issues, chronic pain and sexual dysfunction and this infographic goes a long way in helping change that. A massive thank you to Linda and her colleague Sally Price @saspist for putting this together in such a successful way.